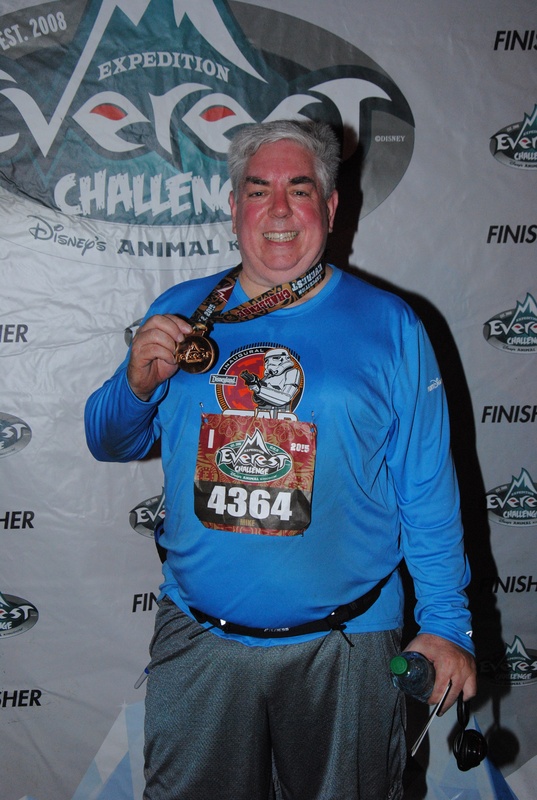 After completing the 5K, the ‘Challenge’ part of the Expedition Everest Challenge is to complete a scavenger hunt. (I’m not sure why this is called a scavenger hunt, as there isn’t really any “find something” aspect to this at all — unless you didn’t pay attention on the race to where the clue stations were located). Only time will tell if you make it to the summit of Mt. Everest. If climbing for 24 hours straight, how many times will at least 3 digits in the row be the same on your analog watch? This is not boot camp so don’t use military time. Thinking I was clever and had seen through the misdirection, I immediately went to the volunteers handing out Clue 2 and said you would never get 3 of the same digits in a row on an analog watch. But this wasn’t the answer they were looking for; the clue writer was the clueless one here on the difference between analog and digital watches. I struggled with this one more than I should have, probably because I was overly concerned with my time to finish the challenge (not sure why at this point, as I certainly wasn’t going to be winning anything!) I quickly came up with 1:11, 2:22, 3:33, 4:44, 5:55, 11:11, and 12:22, knew to double that for a 24-hour period, and wrote down the answer 14. Nope, try again. At this point I saw that others had written down ’34’ and were being given the second clue, so I decided not to spend any more time on this one, wrote down 34, got the second clue, and didn’t worry more about it until the next day. Start with C and turn from there the number of years Expedition Everest has been run‘. Fortunately, they’d given us the answer to this while we were in the corrals waiting to start the run — they asked more than once for a show of hands, how many had run the event all 7 years it had been run? So I wasn’t sure if they were looking for 7 (previous runs) or 8 (total including tonight’s run). I tried 7 first and got C, A, R, A, B, I, N, E, R — yep, that looks good, off to get clue 3! (The clue stations were all marked with large lit balloons like the ones that marked the corrals at the start of the race, and they were all stationed along the race course — so essentially the challenge gave us a second lap of the in-park portion of the course we’d run earlier in the night. I think I recall the total mileage for the 5K + challenge as coming in at almost exactly 5 miles). Clue 3 was simply to put into order the groups of letters ERS, INE, NTA, MOU — given the theme of the night I had MOUNTAINEERS as quickly as I could write it down, and was off for Clue 4. I was sure this needed to be sounded out to get the answer but I had to look at it several times before getting ‘elevation’. But I definitely liked the trend of 3 and 4 being easier than 1 and 2 — only one more clue to go! We have finally found the Yeti and you will too, but where? Solve the word search and you will know where he is hiding. Use this cipher and the previous four answers to help you in this quest. Clue #1 x 3, Clue #2 x 4, Clue #3 x 2, Clue #4 x 3. 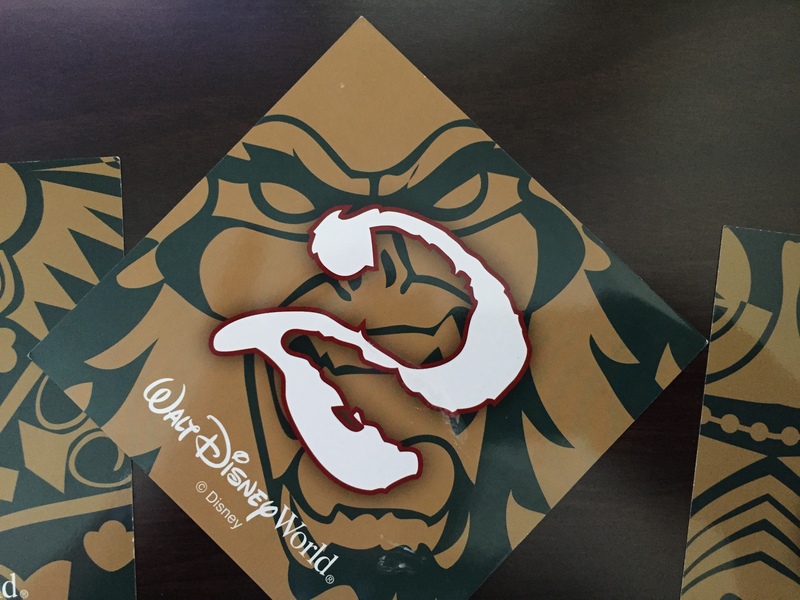 The leftover letters will tell you where the yeti is and what you need to do at the finish line. Going back through the clue cards, each had a different bit of artwork on the front. 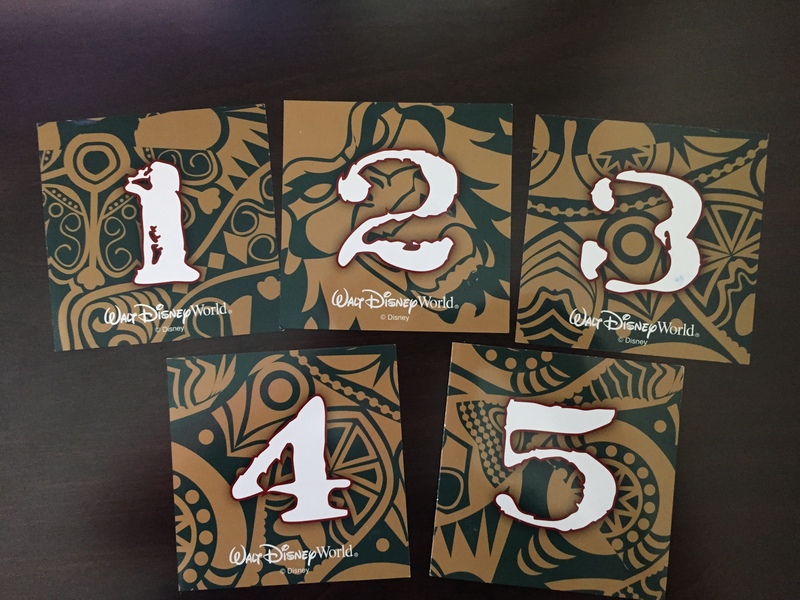 It took me a bit before I made out the Yeti face diagonally across the second clue card. I reordered the cards to put #2 on top and then started for the finish line — the final clue station wasn’t all that close so there was still some distance to cover. As I approached the finish I saw the volunteers checking runners as they came through, if you weren’t holding up Card #2 they’d tell you nope and divert you to the side. I passed straight through, picked up my medal, and then stopped for pictures. Can you spot the Yeti? There was an after-party going on inside the park with several rides open, but having already done an AK day and ridden everything we were interested in, we decided to blow off the after-party and head for the room, to try to get some rest for a full day at Epcot the following day. There were some nice photo ops in the park that might have been worth stopping in for, but I’m much more a morning person than a late nighter so I think for me, calling it a night at this point was the right call. 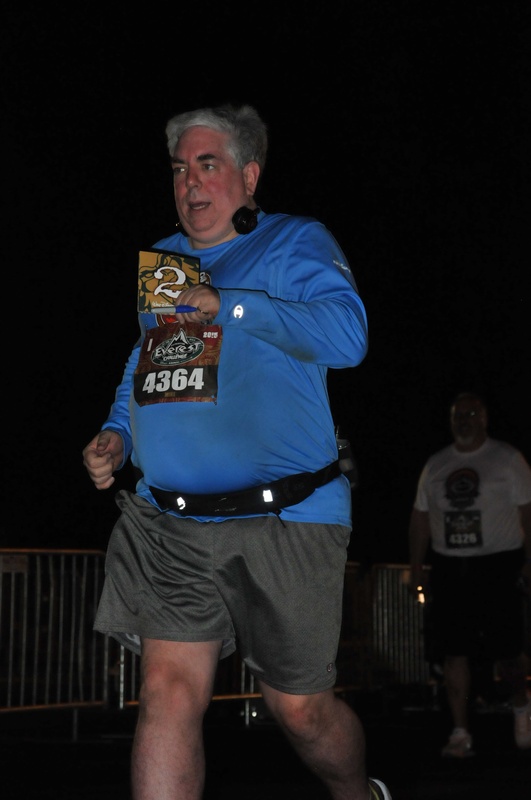 Overall, this was a really fun event, and the only 5K that is treated as an ‘event’ by runDisney — all the other 5Ks are kind of third-tier add-ons to the marathon and half-marathon races. I think something like this is really a nice change of pace, and while I know this is the last EEC, I hope it’s not the last time there’s an event of this type.